According to Kevin Stolarick, the next great innovations coming out of our space sector are not going to come from traditional science and engineering communities like Huntsville (the home of NASA's Marshall Space Flight Center), or the Florida Space Coast or even the St. Hubert region surrounding Canadian Space Agency (CSA) headquarters. 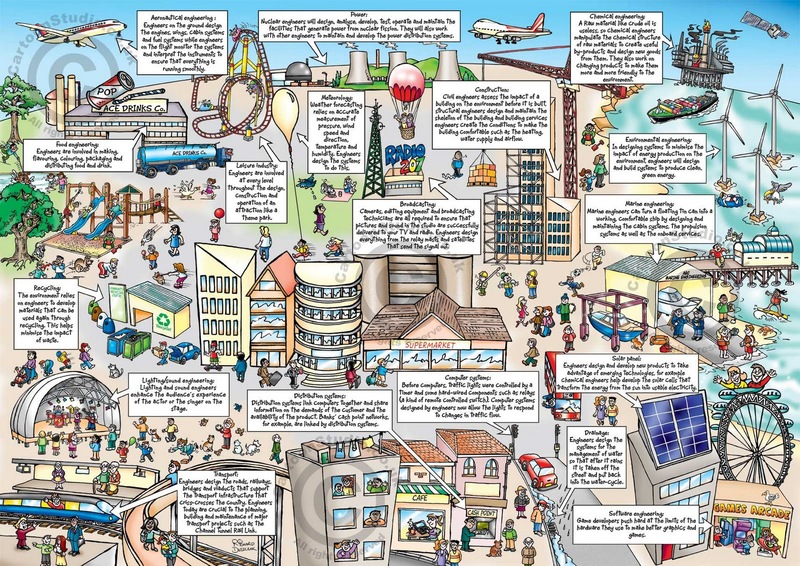 Real innovation will instead require large, diversified cities with many highly educated and creative human beings (or "knowledge workers") operating and socializing across multiple, distributed networks to bring new ideas, global context and unique perspectives to local communities traditionally trapped in rigid thought patterns. This will be true, even for the space science and system engineering communities, which have contributed so much to our early space activities. Stolarick, a professor and the research director for the Martin Prosperity Institute at the University of Toronto Joseph L. Rotman School of Management, made the comments during his presentation at the January 2012 public meeting of the Canadian Space Commerce Association (CSCA) in downtown Toronto. The presentation focused on "the role of sub-national factors such as location, place and city-regions in global economic prosperity and how these factors relate to the Canadian space systems industry." 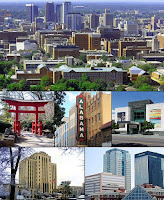 As an example of his thesis, Stolarick gives Huntsville, the fourth largest city in Alabama with around 400,000 people. 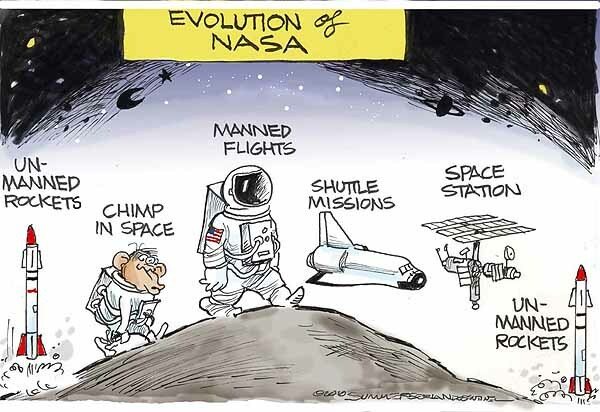 Its a place where systems engineers working in the space industry have traditionally gravitated to because of the local suburban strip malls, golf courses and generally wide open spaces which are supposed to appeal to traditional middle class American values. 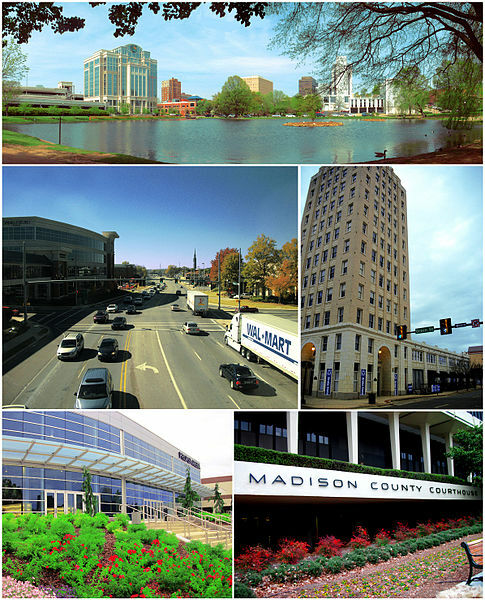 Contrast this with Birmingham, the largest city in Alabama and the core of the Birmingham-Hoover Metropolitan Area. With an estimated population of approximately one-quarter of Alabama's or 1.2 million people, the city has a built up core providing plenty of places for connections and a thriving, nontraditional multicultural and artistic community. 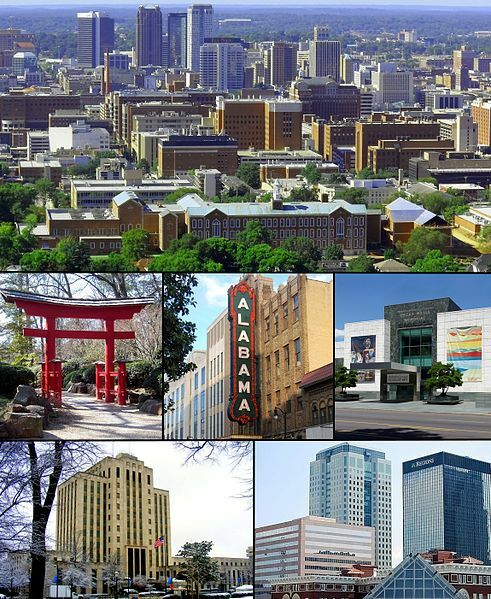 Birmingham is certainly not a suburb, although the population inside Birmingham's city limits has fallen over the past few decades, due in large part to "white flight" from the city proper to surrounding suburbs. 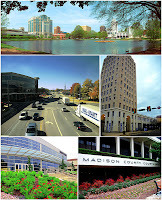 Perhaps that's the reason why there is very little "cross pollination" or travel between Birmingham and predominantly white, middle class Huntsville, since the cities are less than two hours apart. Stolarick thinks that cross pollination should be occurring because it would benefit both cities. He even provides a Canadian example of what could potentially happen if Huntsville systems engineers spent more time talking to artists and others in larger multicultural centers like Birmingham. According to Stolarick, engineers working out of Bombardier Aerospace in Montreal experimented with a closed-cell foam formulation for use in aircraft until test results revealed the foam to be unsuitable for the intended application. So the engineers donated the foam to local artists to use in their art projects. For their part, the local Montreal artists promised to invite the Bombardier engineers to any show featuring the donated foam. Essentially, the local artists ended up using the Bombardier foam in so many unique and innovative ways, that the Bombardier engineers were both amazed and suitably chastised. But as soon as they realized what was possible, they also started coming up with new ideas for products and processes. The foam, although originally considered useless, was soon integrated back into various Bombardier products as a result of the efforts, creativity and innovation of the Montreal artistic community and the follow-up visits by the Bombardier engineers. According to Stolarick, larger cities are "more creative" than smaller cities because of the possibilities of developing new connections among people and groups with different ideas. 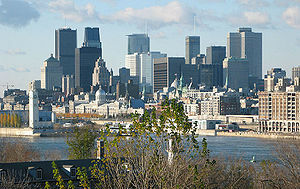 If Montreal is better than Huntsville, then New York and Beijing should be even better. This isn't the first time that the link between creativity, cities and cross culture pollination has been noted (check out the video below on "Fashioning Apollo" for a second example) and it certainly isn't going to be the last. Our politicians should take note and maybe even consider asking CSA office employees in the John H. Chapman Space Centre the number of times each month they're able to make the thirty minute drive into downtown Montreal. The next CSCA meeting is Thursday, March 8th, 2012 at the downtown Toronto law offices of Blake, Cassels & Graydon LLP.. Information on the upcoming March 28th, 2012 CSCA National Conference, focused on "our Critical Canadian Space Infrastructure" is now available online here. 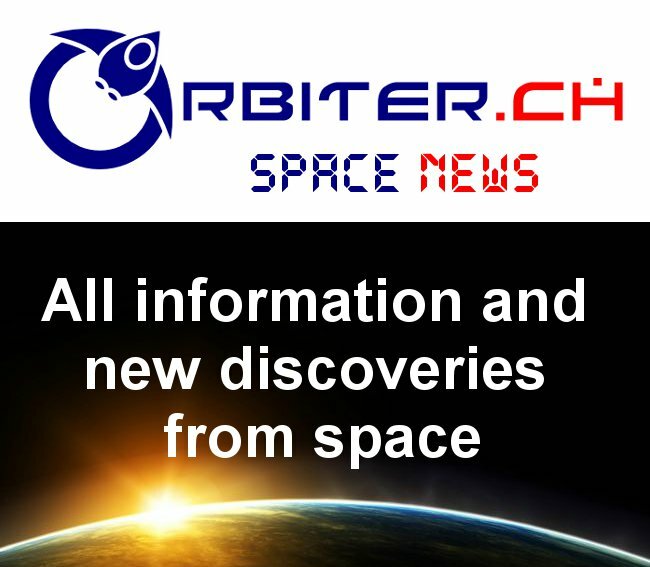 Regular readers will have no doubt noticed the recent addition of a ScoopIT aggregation feed (under the title "More Canadian Space News") to the top right column of this blog, just under the "Upcoming Events" link to our sister Space Conference News site. Hopefully these additional stories will help to convey the growing public interest in Canadian space activities. Of course, some stories don't take well to aggregation (which is simply the collection of news from multiple sources into a single location for easy viewing). They instead require context and additional exposition to shake out some of the subtext and surrounding issues. According to the January 25th, 2012 Ottawa Citizen post on "Working Capital," Canadian satellite operator Telesat is set to receive a large $132.7-million insurance payment for the defective Telstar 14R satellite. The satellite failed to deploy properly after launch in May 2012 and is is currently only rated as being capable of transmitting "40 percent of its broadcast capability" with operational lifespan reduced to twelve years from the originally projected fifteen. The insurance payment is slightly more than half of the total $260-million coverage on the satellite. However, other Canadian space systems businesses don't seem to be doing quite so well. For example, according to the January 26th, 2012 Montreal Gazette article "CCL Industries joins Gazette challenge picks," the portfolio manager for the Gazette's annual stock-picking challenge has decided to replace space systems icon MacDonald Dettwiler (MDA) with CCL Industries, which supplies labels and specialty packaging for the pharmaceutical, cosmetic and specialty food industries. According to the article, MDA shares have had no momentum since the company "announced plans last fall to buy back more than nine million of its shares." As outlined in the November 5th, 2010 Globe and Mail article "MDA sells real-estate arm once seen as key to growth" the company had initially intended to use the money made from the sale of its real estate division to fund the purchase of a US based space company in order to develop access to US markets. But with no suitable acquisition target available, the company eventually ended up returning half the money to investors, although the remainder is evidently available should a suitable target ever present itself. Satellite AIS provider and Com Dev International subsidiary exactEarth has announced the release of a two-year archive of global maritime vessel locations, according to the January 20th, 2012 Digital Ship article "Global AIS archive launched." According to the article, the information provided will be a "totally unique historical record of global shipping covering every part of the world’s oceans" going back to July 2010. According to exactEarth President Peter Mabson, the data is a "true testament to our long-standing, and world-leading, operational capability in the satellite-AIS area." The data can be accessed using a selection of search criteria, including date and time range, geographical area, AIS message type, ship type and country flag. 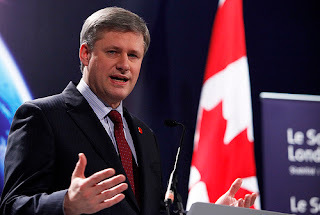 The Harper government is interested in the lack of Canadian science and technology innovation, according to the January 29th, 2012 Globe & Mail article "The innovation challenge – and the misallocation of capital," which quotes the Canadian PM as vowing to act “soon” on the recommendations of an October task force report chaired by Tom Jenkins, chairman of software maker Open Text Corp. For those interested in learning a little more about how this affects the Canadian space systems industry, the Jenkins Report was discussed in my October 17th, 2011 post "Federal R&D Recommendations Submitted" and the follow-on October 25th, 2011 post "Responding to the Jenkins Panel on R&D." Those interested in the the next step in this process are eagerly awaiting a report by federal Taxpayers’ Ombudsman Paul Dubé (to be released as early as this week) which is expected to expose a litany of complaints from users about how the Canada Revenue Agency administers existing innovation tax credit programs. Across the fast changing American political landscape, where presidential candidates now talk about space programs and activities as part of their standard policy pronouncements, its only natural for news outlets to track those campaign promises and follow-up on whether or not they have ever been fulfilled. Politifact.com, a project operated by the Tampa Bay Times, which tracks political promises and eventual results, is currently the best of the lot in this area. 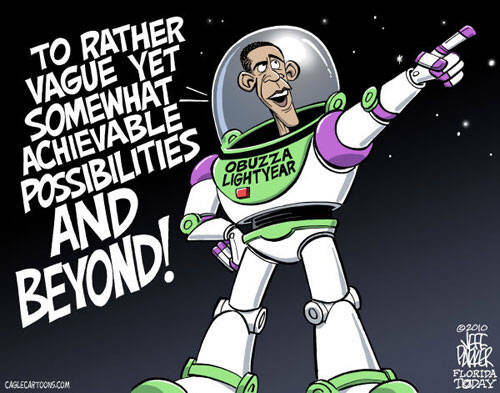 The Pulitzer Prize winning organization (it was awarded for fact-checking over 750 political statements made by candidates during the 2008 US presidential campaign) has strong readership in Florida and Texas (where much NASA work is performed) and has set aside a small section of its ongoing coverage to track the promises deferred, kept and broken by US president Barack Obama in his public statements regarding space policy. Promise: To seek a code of conduct for space-faring nations - Although the administration has made noises in this area, it has also rebuffed the recent European Union proposed code of conduct for space activities and Politifact lists this promise as a "compromise." Promise: To re-establish the National Aeronautics and Space Council - The idea to revive the National Aeronautics and Space Council appears dead and Politifact lists this as a "promise broken." Promise: To add another space shuttle flight before shuttle retirement - STS-135, the final shuttle flight, was an addition to the shuttle flight schedule. Politifact lists this as a "promise kept." 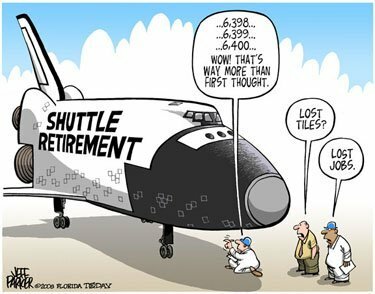 Promise: To speed up development of the next-generation space vehicle - Since no shuttle replacement has yet flown, Politifact lists this as a promise "in the works." Promise: To use the private sector to improve spaceflight capabilities - While there are certain newspace advocates who were quoted in the 2009 - 2010 period for this assessment who said positive things about the administrations encouragement of private sector initiatives, those sources are likely not feeling quite so positive about the current environment. Politifact still lists this as a "promise kept" although a slight variation of the theme (to increase commercialization benefits from space technology) is considered by Politifact to be a "promise in the works." The same is true of the business focused promise to revise regulations for the export of aerospace technology, which Politifact also considers to be a "promise in the works." Promise: To work with international allies on the International Space Station (ISS) - The Obama administration has extended the operational life of the ISS to at least 2020 (which was a common wish among ISS partners) and encouraged co-operation with international allies. Politifact lists this as a "promise kept." Variations of this theme are included with promises to partner to enhance the potential of the ISS, use the ISS for fundamental biological and physical research, support commercial access to space for use of the ISS and explore whether the ISS can operate after 2016. According to Politifact, each of these variations is a "promise kept." Promise: To support manned space missions to the moon by 2020 - This likely isn't going to happen under the current administration and Politifact lists this as a "promise broken." However, a variation on this promise (a promise to increase spending to prepare for longer space mission which plays on the idea of exploration but doesn't define any specific destinations to explore) is listed as being a "promise kept" by Politifact. Various other science and educational focused promises to conduct robust research and development on future space missions, work toward deploying a global climate change research and monitoring system, enhance Earth mapping and establish school programs to highlight space and science achievements are each listed by Politifact as being a "promise kept." However, the promise to improve climate change data records (which includes a promise not to use climate change data for political purposes) is listed only as being "in the works." It will be interesting how the emerging Republican presidential candidates assess the record listed above and begin to integrate alternative policy decisions into their campaign. "Build it and they will come has never been a good business model," at least according to Thomas Andrew Olson, who spoke last week in Toronto at the Astronomy and Space Exploration Society 9th Annual Expanding Canada's Frontiers symposium. Of course, Olson should know. 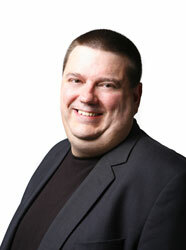 He is a founding partner of Exodus Consulting Group, which currently offers independent due diligence for tech sector venture capitalists but once played a key role in the success of early Space Investment Summits by helping to craft them into "frank" dialogues on investment opportunities surrounding newspace related ventures. Today, Olson is a project manager for the NewSpace Business Plan Competition, a project of the Space Frontier Foundation. According to the July 14th, 2011 Space Frontier Press article "NewSpace Awards Gala Honors the Stars of Commercial Space," the purpose of the competition is to have space industry investors critique business plan submissions and "highlight the stars of commercial space." According to Olson, what he does isn't "rocket science." It's simply a question of finding the appropriate tools, some of which may be derived from the various worldwide space programs, to solve existing problems and help to develop the space infrastructure. He uses the analogy of the gold rush to make his point. Most people generally don't make a lot of money during a gold rush. The ones who do make the money are the people who sell the workers pickaxes, or food and provide them with the lodging and all the other sundry infrastructure items needed in order to allow the search for gold to continue. This likely places Canada in a good position for the future, since our space projects have always focused on solving terrestrial problems (such as continental communication, which was addressed by the creation of Telesat Canada in 1969) and building out infrastructure for other projects (like the International Space Station, which was built using the Canadian CanadArm). However, one core component of Canadian space focused projects up until now has been the judicious use of Federal government funding and Olson doesn't think government support for space activities is going to continue. "Governments are running out of money" he states and any cursory review of the recent media is likely to re-enforce this viewpoint. Perhaps that's why we need to take people like Tom Olson a little more seriously. Big Ideas, the TV Ontario showcase for "contemporary intellectual culture" wrapped around public presentations and lectures from well known public figures, has just posted a 58 minute talk on Canadian Space Agency Perspectives from Space: Research and Diplomacy featuring astronaut Julie Payette. The presentation starts out as a travelogue with Payette providing photo's, videos and an overview of her trips to the International Space Station (ISS) during the May 1999 STS-96 and the July 2009 STS-127 space missions. But the most interesting part of the presentation, come later when Payette talks about future missions (perhaps to Mars) provides some views of the Earth and talks about some of the things you can do with space technology to make terrestrial life better. Payette is an engineer and a Canadian Space Agency (CSA) astronaut who has completed two spaceflights and logged more than 25 days in space. The talk was part of a larger series of recent presentations from the Waterloo based Perimeter Institute for Theoretical Research. The winds have been whispering "off the record" for quite some time but last Wednesday, BC based MacDonald Dettwiler (MDA) finally confirmed the unofficial rumors. Under the headline "Space Infrastructure Servicing Update" the company announced that the "MDA/Intelsat Agreement announced March 15, 2011, has ceased to be in effect." As explained in my March 15th, 2011 post "Macdonald Dettwiler gets "Anchor Customer" for Brampton Robotics Plant" the original agreement was for $280 million USD worth of services and satellite refueling to be offered to Intelsat General Corporation, a European based satellite services provider, in order to provide MDA with an "anchor customer" to move forward with its space infrastructure servicing (SIS) vehicle. The SIS was expected to "service commercial and government satellites in need of additional fuel, re-positioning or other maintenance." According to the latest press release, MDA is "continuing to pursue opportunities in this area and is currently focused on bidding a space servicing Broad Agency Announcement from a U.S. Government agency, which is due in February." But as outlined in my November 11th, 2011 post "Will US Allow Canada to Bid On-Orbit Satellite Servicing Contracts?" there is much concern over whether or not the Canadian firm will be allowed to bid successfully on US government agency contracts. While the original MDA/ Intelsat agreement agreement was for a substantial amount of money ($280 million USD) the total cost of development was always expected to be far higher and this shortfall needed to be covered with other contracts. The US government was always the logical second market and MDA initially selected Intelsat as anchor tenant specifically to access it, according to the January 13th, 2012 Parabolic Arc post "MDA, Intelsat Terminate Satellite Servicing Agreement." But while the SIS system is generally considered to be the logical next step in the development of in-space orbital infrastructure (which includes satellite refueling), the US government seems intent on insuring that any government money used to develop infrastructure goes primarily to US based companies. Other avenues for funding (such as the October 2011 Canadian Space Agency contract for $250,000 CDN to perform an "on-orbit, automated servicing experiment"), while appreciated, are generally not perceived of as being sufficient to support the total program. 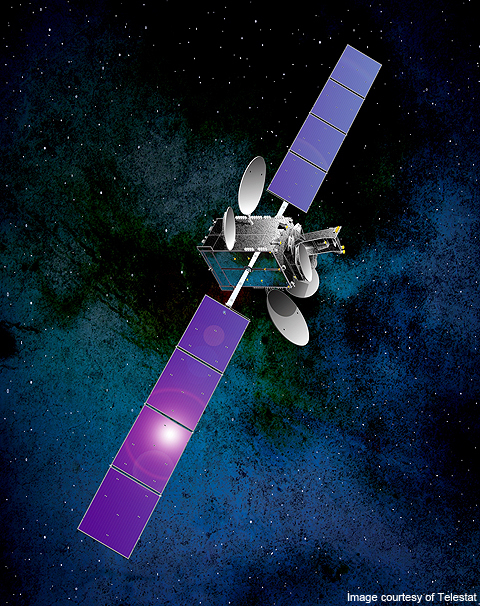 Possible competitors in on-orbit satellite services include the ViviSat Mission Extension Vehicle (MEV) and the DARPA Phoenix program. It is expected that, without an anchor customer to "leverage the existing skills" of the MDA Brampton Robotics division, the layoffs originally announced in my March 3rd, 2011 post "Downsizing Announced at MDA Robotics" and partially superseded by the original MDA/ Intelsat announcement will now go forward. The SIS system architecture was to have been based on work that MDA has previously performed for the National Aeronautics and Space Administration (NASA), the Canadian Space Agency (CSA) and other civilian and military agencies for the US space shuttle's Canadarm and the mobile servicing system for the International Space Station (ISS). ASX 2012 Focused on "Space 2.0: What's Next?" One of the highlights of our generally dark and gloomy Canadian January is the annual "Expanding Canada's Frontiers" symposium organized by the Astronomy & Space Exploration Society (ASX). 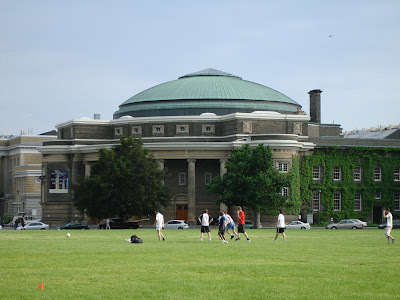 Convocation Hall at the University of Toronto. 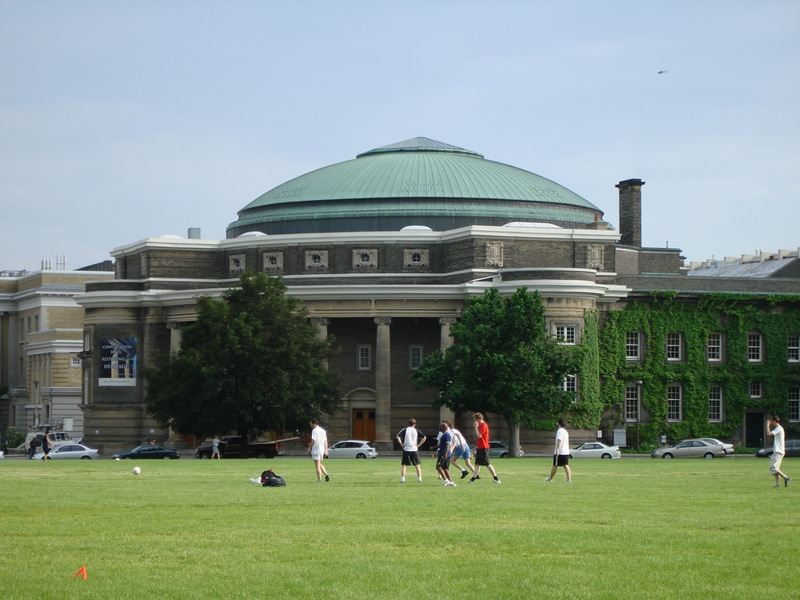 This years symposium is scheduled for Friday, January 20th, 2012 from 7:00-10:00 PM at the University of Toronto Convocation Hall and the focus is on "Space 2.0: What's Next?" Doors open at 6pm and there is a reception at 10pm. With the end of the space shuttle-era and the rise of numerous private companies and organizations in the space sector, space exploration is currently undergoing a major paradigm shift. The Orion multi-purpose crew vehicle being developed by NASA for manned deep space exploration, the rise of companies like SpaceX and Virgin Galactic, and new scientific projects such as recent work on finding life on Mars being undertaken by the CSA and the NASA are just some of the exciting new things happening recently in humanity's relationship with space. Recognizing this, ASX is pleased to present a line-up of prominent speakers and relevant talk topics relating to "what's next" in space exploration. 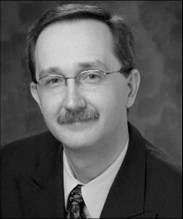 Dr. Marc Millis, the founder of the Tau Zero Foundation, the manager of the NASA funded Breakthrough Propulsion Physics Project (BPP) and the author of the book, Frontiers of Propulsion Science, which was published in February 2009, by the American Institute for Aeronautics and Astronautics (AIAA). Dr. Nicole Buckley, who is the Chief Scientist for Life Sciences aboard the International Space Station (ISS) at the Canadian Space Agency (CSA). In this role, she is responsible for allocating, developing and leading a robust Canadian life sciences program aboard the ISS. Mr. Thomas A. Olson, who is the CEO of The Colony Fund, a public venture capital fund focused on the space entrepreneurial sector. He is also a founding member of the Mars Society and was elected to the Board of the Space Frontier Foundation in 2008. 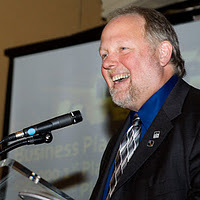 He's a frequent speaker at national space advocacy conferences and focuses on the fiscal, regulatory and political challenges of private space commercialization, the public perceptions of space and humanity's future in the high frontier. Since its start in 2003, the community managed ASX has grown into one of the largest space focused organizations in Canada. The annual ASX symposium is the largest single-day space related event in Canada, and in the past eight years has drawn a combined audience of about 6,500 people across North America. The 2012 Expanding Canada's Frontiers Symposium is free for current students who have registered in advance (click here for student registration), $15 dollars CDN until January 10th, 2011 for those of us who are no longer in school (click here for non-student registration), $20 dollars CDN after January 10th for those of us who are simply a little slow to register and $25 dollars CDN at the door for the rest of us who don't register in advance. Future Jobs: Will Students Work for Space Travelers? I first mentioned it in my September 20, 2011 post "Engineering Students Facing The Future" which covered the 2011 Canadian Aeronautics and Space Institute (CASI) Canadian Student Summit on Aerospace (CSSA) and showcased opportunities for engineering students embarking on careers in aeronautics, avionics and space. According to Pratt & Whitney Canada VP Edward Hoskin, approximately half of Canada's existing aerospace engineers will reach retirement age within the next 5-10 years and Canadian companies must begin the mad scramble to replace them. This story has been an ongoing part of the "conventional wisdom" of the aerospace industry for the last few years. 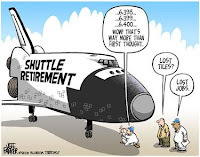 Even NASA has expressed public concern over aging employees as outlined in the April 9th, 2009 Universe Today article "NASA Looks to Rebalance Aging Workforce." However, based on several recent news stories and articles circulating around the web, it's quite possible that many of our existing students and future, potential aeronautics, avionics and space engineers simply don't yet believe the story being promoted by Mr. Hoskin and others. Not the final frontier for jobs? According to the December 30th, 2011 Lethbridge Herald article "Job outlook brighter for grads" the Canadian Association of Career Educators and Employers (CACEE) is predicting "the same flat job market for 2012 graduates as last year." CASEE made this prediction using data from 324 employers across Canada as profiled in their 2011 Campus Recruitment and Benchmark Survey. According to the survey, the job outlook is only brighter for grads willing to relocate to certain regional areas (like Lethbridge, AB) and "engineering technology opportunities" which could certainly be related to aerospace opportunities, but are more likely related to mining technology given the source of the article. According to the September 24th, 2010 post on the Talent Egg website "The Top 25 Employers Canadian Engineering Students Want To Work For," engineering students generally have a wide range of options for employment after graduation at a variety of Canadian software, hardware, aerospace, automobile, resource and government organizations. 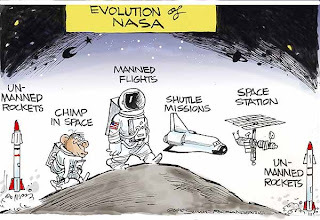 There is no special preference towards aerospace (with only Bombardier, Boeing, SNC Lavalin and Pratt & Whitney listed as being in the top 25 employers) and even less interest in space jobs with no space focused organizations whatsoever on the Talent Egg list. AO-26 Space Careers from Ott Planetarium on Vimeo. Why are there no Canadian space companies on the Talent Egg list of top 25 employers that engineering graduates want to work for? That's easy to understand, if you've read the January 6th, 2012 Globe & Mail article "MDA's Daniel Friedmann likes the Earth under his feet." The article, a profile of MacDonald Dettwiler (MDA) CEO Daniel Friedmann, reminds readers that the iconic Canadian manufacturer of the CanadArm's and RADARSAT isn’t "widely recognized by most people because it generally operates unseen." According to the article, the company has tried (and failed) to make a "big-impact acquisition to give it much more heft in the space technology market in the United States" where it has been unable to compete effectively and is presently holding off on a potential $280 million CDN deal with international communications provider Intelsat Ltd. to provide on-orbit satellite refueling and servicing of Intelsat communications satellites because of possible US competition. The article quotes Friedmann as stating that “we’re trying to do something that hasn’t been done before, in a country [Canada] that is not at the forefront of space exploration. So it’s tough. And we’re not going to do it unless it makes sense for our shareholders. It’s not something we have to do.” Freidmann, who was appointed CEO in 2003, attempted to sell the space focused assets of his company to US based Alliant Techsystems (ATK) in 2008, but the sale was blocked by the Federal government. The Canadian $100 bill, issued in 2004, includes an image of RADARSAT 1 and a satellite picture of Canada. The bill is not generally accepted for retail transactions. Maybe what the space industry in Canada needs is an old fashioned jobs board. According to the January 4th, 2012 post on the UK based Register website titled "UK space agency to boldly send techies ... behind a desk" the UK Space Agency (UKSA) has launched a 'jobs feed' on its website "to keep Brits up to date with all the career opportunities relating to exploration above and beyond Earth's skies." According to the article, "there's room in that field for engineers, physicists, mathematicians, machinists, technicians and IT and software systems experts." The jobs board also presently includes at least one junior receptionist position along with more traditional types of opportunities with Surrey Satellite Technology (SSTL), satellite broadband services provider Avanti Communications and Vega Space. The UK government expects to add 100,000 new jobs in the space industry over the next 20 years. 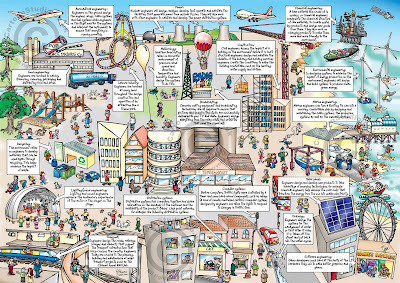 A variety of potential engineering career choices. But where is Mr. Scott? There are, of course, numerous online websites and job boards focusing on space available to anyone who wishes to do a little due diligence. These include the Space Careers website (which bills itself as providing the "best jobs and the best talents in the space industry"), the Space Job Center website, the Commercial Space Gateway listing of Commercial Space Careers, various Linked-In groups (such as the Defense, Space Jobs directory) and quite a few others. Most of these opportunities aren't Canadian, which makes sense if we accept at face value MDA CEO Freidmann and his earlier comments that Canada "is not at the forefront of space exploration." 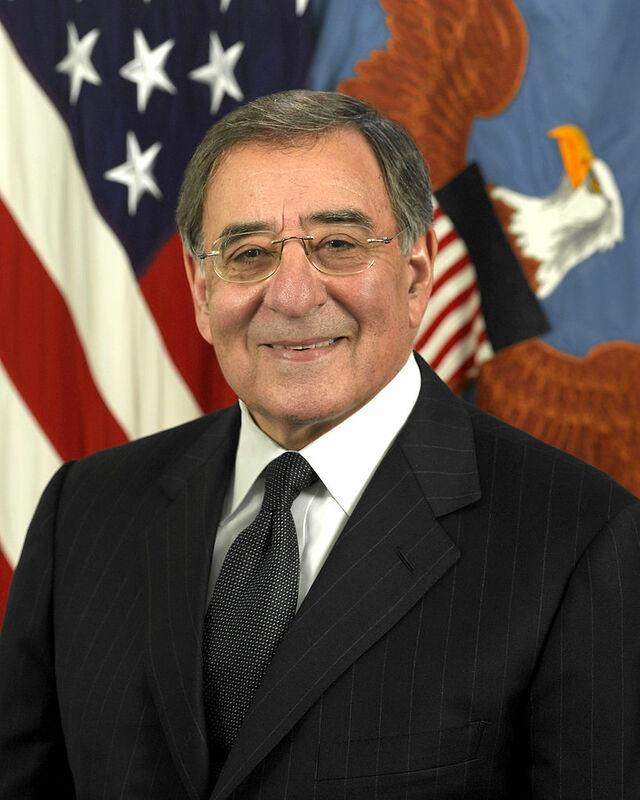 US Defense Secretary Leon Panetta. Even the US is slowly working towards a realization that "space investments" are good for the economy and also for national defense. According to the January 5th, 2012 Space Policy Online article "Panetta: Space Investments Among Those to be Protected" it is expected that "while cuts are made to the defense budget, investments in several areas will be protected, including space capabilities." Unfortunately, according to the article, "specifics on what programs will be cut or increased were not announced" and that information "must wait until the President's FY2013 budget request is submitted to Congress, which is expected on the first Monday in February." Lana Sator, at the Energomash Rocket testing facility, outside Moscow. Despite the slowly changing perceptions at senior levels, the best indication of how students and young adults presently perceive of the space industry is encapsulated in the recent adventures of urban explorer and blogger Lana Sator. According to the January 3rd, 2012 article "Urban Exploring a Russian Rocket Plant" on the New York based Animal website, Sater and several friends managed to sneak into "an unguarded strategic military rocket motor factory near Moscow" and spent several hours walking around photographing what looked to be an abandoned facility. Russian officials (who insist that the factory is still open and producing liquid propellent rocket engines) have sent threatening letters and instructions to “not make [her] situation worse” which she has posted on her website here. Surely, she'll be at the top of the list the next time the Russian space program decides to hire. No footprints in the snow in this external shot of the Energomash facility. Photo's c/o Lana Sator. Let's hope that all the new hires needed to fill out the ranks of employees at Canadian aeronautics avionics and space firms will ignore most of the articles and reports listed above and be kindly disposed towards job opportunities in the space industry should those promised job opportunities ever come calling. We need them to grow our industry and replace many soon to retire existing employees.